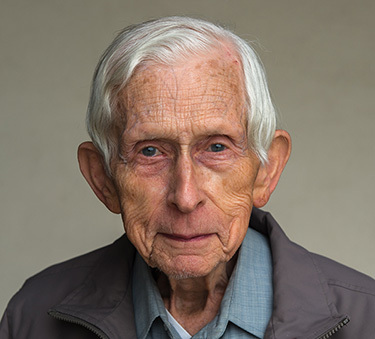 Retired UC Santa Cruz astronomy researcher Arnold Klemola has given $400,000 to support graduate student research by establishing the James Keeler Fund for Excellence in Astronomy and Astrophysics. The fund honors the contributions of Keeler, an early director of Lick Observatory who established the technology for large reflecting telescopes and pioneered their use for observing distant galaxies. "Having this endowed fund gives us much needed flexibility to support graduate students and enhance their experience," said Enrico Ramirez-Ruiz, professor and chair of the Department of Astronomy and Astrophysics. "Arnold Klemola clearly recognized the need for graduate student support and the importance of graduate students to the research we do. It's an amazing gift, and we are impressed by his vision of how he wants the funds to be used." Klemola, who was the first in his family to go to college, expressed his interest in helping other first-in-family students. "Highly competent students of all backgrounds should be attracted to astronomy with help from the Keeler endowment," he said. As a child, Klemola attended a small one-room school in Connecticut with one teacher and eight grades. "There was a tiny shelf with books, and one was on astronomy, so that was my first start toward astronomy," he said. "In those years, it was possible to mostly work your way through college with no debt afterward, which I did. Not so today." Klemola earned a bachelor's degree in astronomy at Indiana University and a Ph.D. in astronomy at UC Berkeley. He came to UC Santa Cruz in 1967 and retired in 1992. "He was a key member of the astronomy staff at Lick Observatory for many years," said Claire Max, director of UC Observatories and a professor of astronomy and astrophysics. "I was deeply moved by his desire to encourage first-in-family students to go on to exciting and challenging careers in astronomy. It's quite remarkable." Klemola's legacies in astronomy include the discovery of Klemola's Comet—next visible from Earth in November 2019. The comet discovery was incidental to his greater lifetime work on the team that photographed the southern sky and then the northern sky for a second time, thereby showing how stars move around our galaxy. Increasing graduate fellowships is a goal of the Campaign for UC Santa Cruz and the Division of Physical and Biological Sciences. Donations to the James Edward Keeler Fund for Excellence in Astronomy and Astrophysics may be made through the UC Santa Cruz Online Giving web site.